WHEN DID CELINE RELEASE HER FIRST ALBUM? Celine's first album was released in 1981, it was called "La Voix Du Bon Dieu". 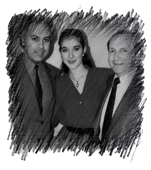 It was produced by one of Quebec's most successful managers René Angelil. René actually re-mortgaged his home to take a gamble on this 13 year old girl. 3 months later Celine's second album was released "Chante Noel", a Christmas album. 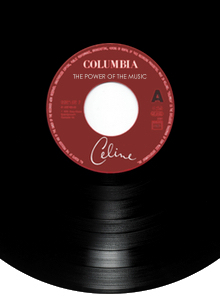 This remains the rarest of all Celine's albums. HOW MANY ALBUMS DID CELINE RELEASE AS A CHILD? In total Celine released 7 albums as a teen performer, as well as 1 live album. These were released on both LP Vinyl and Cassette. (Except for Chante Noel). The cassettes are now generally rarer than the vinyls. WHEN DID CELINE BEGIN TO SING IN ENGLISH? Celine's first english releases are on the "En Concert" album, where she learned to sing phonetically. Her first proper English album was released in 1990, during her career re-birth as an adult artist. It was called Unison and included the break-through hit "Where Does My Heart Beat Now"
SO HOW MANY LANGUAGES HAS CELINE SUNG IN? Whilst working predominatley in French & English, Celine has also recorded tracks in other languages. Spanish, German, Italian and even Japanese! Celine did not sweep the boards in the results show. It actually came down to a very nervous finish with Celine just beating the UK entry at the last second. Celine was obviously very emotional by the end of this incredibly tense voting process!. HOW LONG DID CELINE PLAY VEGAS FOR? Taking a huge gamble, Celine signed an exclusive deal to perform in Caesar's Palace. A custom built theater was created for the show, named the Colliseum, a replica of the one in Rome. Franco Dragone, the man behind Cirque Du Soleil, was the creative consultant. Initially booked for a 3 year run, Celine ended up playing to packed houses for 5 years. Placing her as the most successful female act in Vegas history. She returned to Vegas with a brand new show in March 2011. DIDN'T SHE MARRY HER MANAGER? Yes she did. 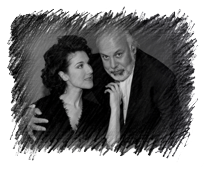 In a scene straight out of a Hollywood movie, as Celine grew up she became closer to René. Aware of the age difference, René dis-couraged any relationship untill Celine was old enough. They first kissed on the night of her triumphant win in Dublin. on the album dedication for "The Colour Of My Love". They married later that year. longtime friend Aldo Giampaolo replaced him in the role. However René continued to participate in Celine's career untill his condition deteriorated. Tragically René passed away from throat cancer on the 14th of January 2016. Two days before his 74th birthday.